The next chapter of the Nicole Millar story has arrived. The Sydney-based starlet has kicked some serious career goals over the past couple of years, first finding fame via her vocal appearance on Peking Duk’s ‘High’, as well as working alongside some of the country’s best pop/electronic acts, before confidently striding into the solo sphere with her debut single ‘Wait’ at the end of last year. Ironically, the ‘Wait’ hasn’t been long for Nicole’s second single to surface; ‘Tremble’ not only dropping on Friday to digital retailers, but also beginning its journey at Australian media. Fans of ‘High’ will love this, with elements of the Peking Duk smash making their way into the track, including the tweaked vocals and familiar chord structures. Add in a totally watchable studio-based video clip with some impressive contemporary dance moves and you’ve got a totally convincing package. 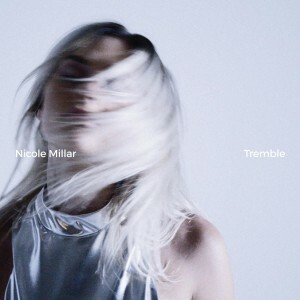 ‘Tremble’ and ‘Wait’ form half of the tracklist of Nicole’s forthcoming ‘Tremble’ EP, due for release on Friday February 05.